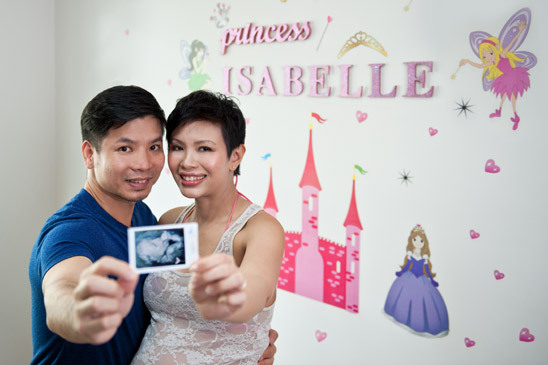 Singapore Creative Portraits, Pre-Wedding, Couples, Maternity & Family photography. A recent maternity shoot for Sherry, together with her husband Dennis. The photography style this time differs slightly from my usual preference of using the environment to tell a story. Since Sherry opted to do the shoot in the comfort of her home with simple and clean backgrounds, we revisited some evergreen classic shots, with the focus and emphasis on her and her baby bump.